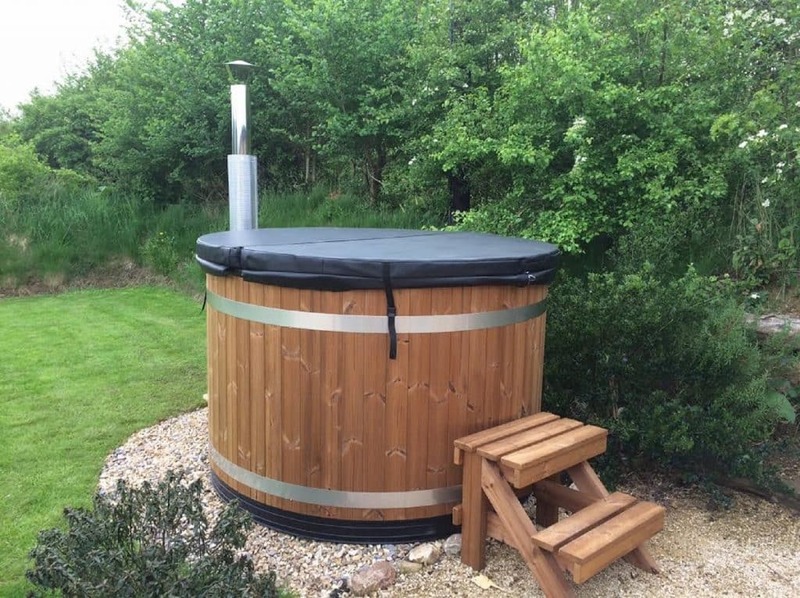 Another Kirami “Easy” hot tub has been delivered and installed! Katie and her family chose Kirami’s bestselling model because of its superb value for money (£2750 including VAT and home delivery). Heating up the water to 35 degrees Celsius takes just two and a half hours. Easy tubs are ideal for 4-5 bathers. All Kirami wood fired hot tubs are made in Finland. The Inner bath is made of very durable plastic and outer panelling from eco-plank or thermo wood depending on your choice. The inner plastic lining for the tub is easy to clean and all Kirami hot tubs will serve you well for 10 years or more.